Strosek is located in Utting/Ammersee, near München in Germany. For several years they restyle cars. One of their projects is the Porsche 928. 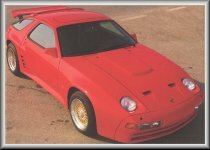 Based on the Porsche 928 S4 they build several versions. Known are the Ultra, the Ultra Version I and III, the Porsche 928 Cup and the Jurinek Cabrio. The most advanced option were the Ultra wings, the magnificent opening doors. Unfortunately, they do not appear on the price list anymore. But also the spoiler was gorgeous and they made beautiful wheels. On the Strosek pages you will find information from there brochure of 1993 including the price lists. But you will also find the the actual program. 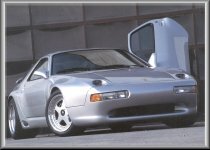 Yes, they still make parts for the 928. The old price list is in DM, a non existing currency. One DM is 0,5 Euro and about 0,5 USD. The new price list, of course, is in EUR. I have also tried to add pictures of each item on the price list. Errors and changes reserved of course. 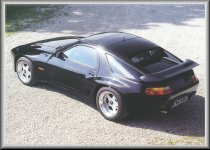 Despite that you will not find any Porsche 928 on the website of Strosek, I also added a link to their website. 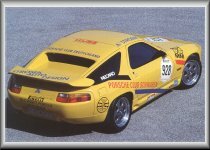 All information on the Strosek pages is published with the permission of Strosek Auto Design GmbH. All rights of the pictures and price information remain to Strosek Auto Design GmbH.